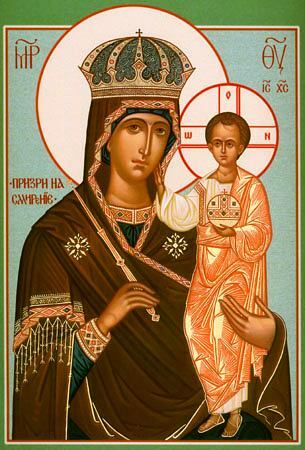 The Icon of the Mother of God, named "Support to the Humble" ("Prizri na smirenie"), appeared in the year 1420 in the Pskov lands at Stony Lake. That same year on 16 September it was transferred to Pskov and put in the cathedral church. In memory of the transfer of this wonderworking icon there was established its celebration.